DEFENSE SECRETARY HAGEL: To close these gaps, the President’s budget will include an Opportunity, Growth and Security Initiative. This initiative is a detailed proposal that is part of the President’s budget submission. It would provide an additional $26 billion for the Defense Department in Fiscal Year 2015. 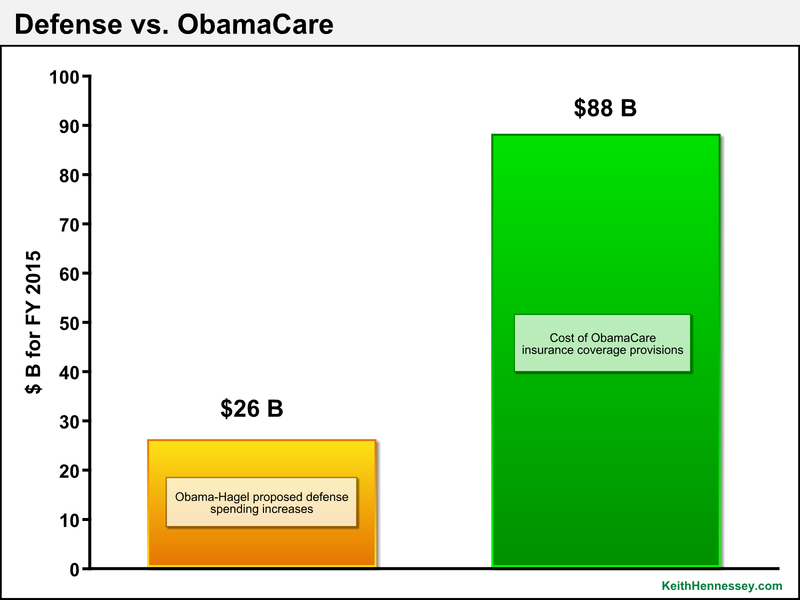 Source for $88 B number: Congressional Budget Office, “Insurance Coverage Provisions of the Affordable Care Act–CBO’s February 2014 Baseline,” Table 1 (Net cost of coverage provisions for FY 2015).